It may still be FREEZING outside, but that doesn’t mean you can’t look like you just enjoyed a week in the sun laying on the beach! Being a natural redhead, I have to be careful no to let the harmful rays get the best of me. I have to be honest, I do tan pretty easy for a redhead but that isn’t really a good thing. I try to avoid letting the sun touch my skin for long periods of time as it is so damaging. To fix this problem, I have been using all types of self tanners through out the years. Because lets be honest, Fake and Bake is completely out! I cringe when I see or hear someone mention that they are going to the tanning bed! Just stop it ladies! Most self tanners these days include moisturizers that actually improve the health of your skin so I don’t understand the issue! 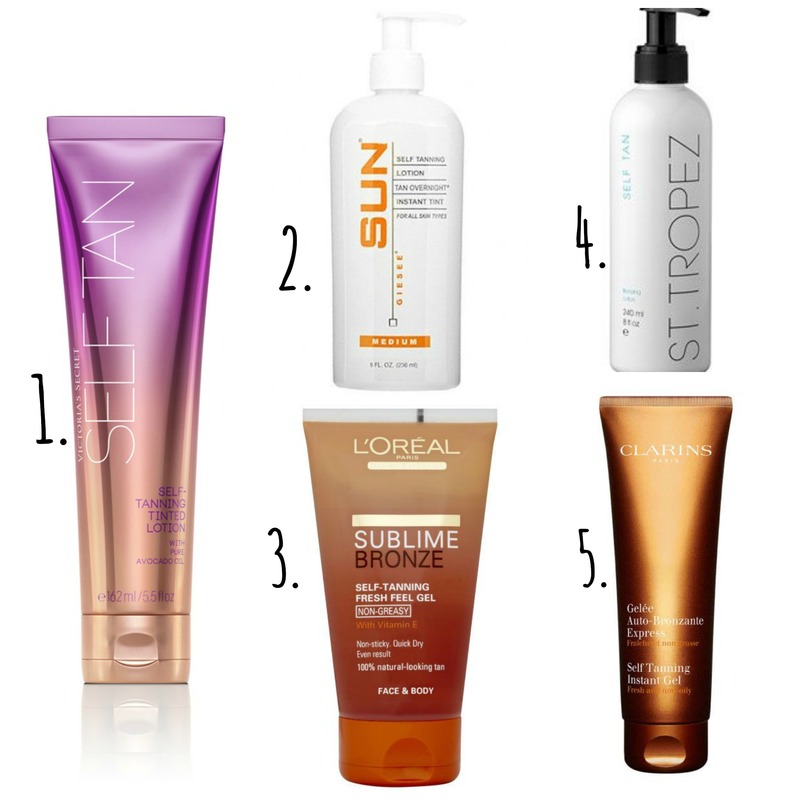 Here are my top 5 picks for the best self tanners that worked for me!